Many patients with vision problems heartily embrace the idea of enjoying vision correction without having to wear eyeglasses or contact lenses. Not all of these patients, however, are good candidates for PRK or Lasik surgery, the two standard surgeries used to alter the way the cornea of the eye refracts light. 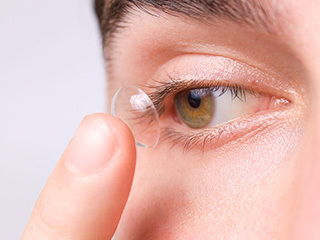 If that describes you, don't fret -- because here at Family Vision Care Optometry INC., we offer an advanced corneal reshaping technique known as orthokeratology, or Ortho-K. This non-surgical technique can produce changes to the way your cornea refracts light. Some of our patients simply don't like the idea of any kind of surgery, or they want a reversible procedure. Orthokeratology may be an ideal choice for these individuals. Drs. Carl Garbus, Nanar Hovasapian, and Naro Babaian will map the shape of your corneas precisely and then fabricate special contact lenses. Unlike standard contacts, you'll wear these lenses at night. The lenses perform a subtle corneal reshaping as you sleep, meaning that you can take them out the next morning and enjoy perfect or near-perfect vision.